I think Customizo is a great site to personalize your own apparel. I would love to make a few T-shirts for my family that represent my sons T-ball team! Wouldn't it be so cute to have a shirt with his number on it and having it say Brandon's Mom or for my youngest having it say Brandon's brother?? I also have a book club and I think it would be so much fun to get matching shirt for everyone! The best part is your customized Apparel is as unique as you :). 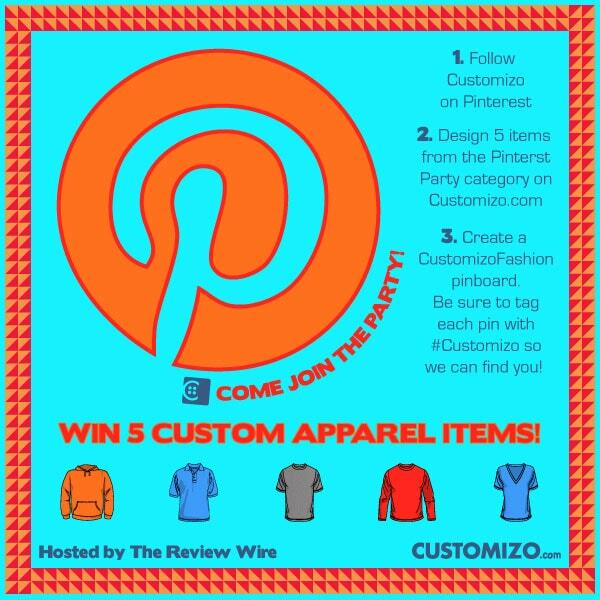 Disclosure: This event is sponsored by Customizo and hosted by The Review Wire. Simply Me Blog is not responsible for prize fulfillment. Companies and bloggers, if you would like to participate in group giveaway events like this one, sign up to be emailed about future events hosted by The Review Wire.